2018 will heighten your interest in philanthropy, and you’ll be in excellent health throughout the whole year, which will ease your virtuous endeavors. As far as the romantic relationship goes, there will be ups (fresh sparks) and downs (small misunderstandings), but you’ll find a reasonable balance. If you have kids, they will start dreaming big this year, and it will be your job to support their beginnings. Your own career will be successful in 2018, the financial aspect of it, in particular. You may be required to take a journey abroad and to work on your public image. All in all, you’ll be able to achieve success in all areas of life if you manage to defeat your laziness.  What Sign Is The Perfect Match For Leo?